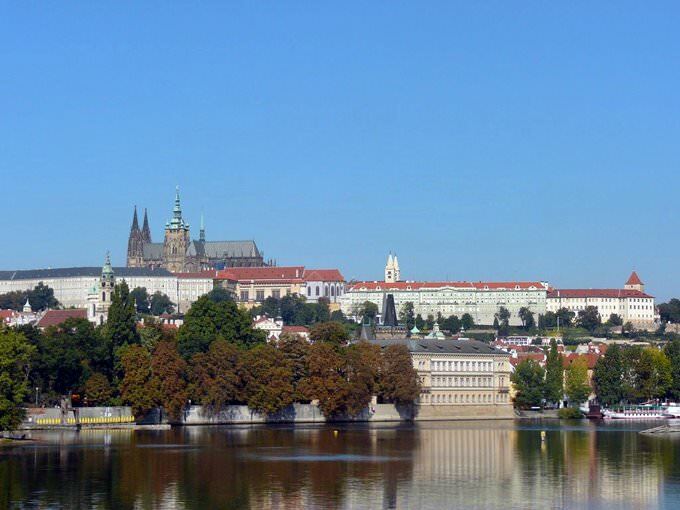 Prague is home to numerous beautiful historic buildings, cathedrals and parks. 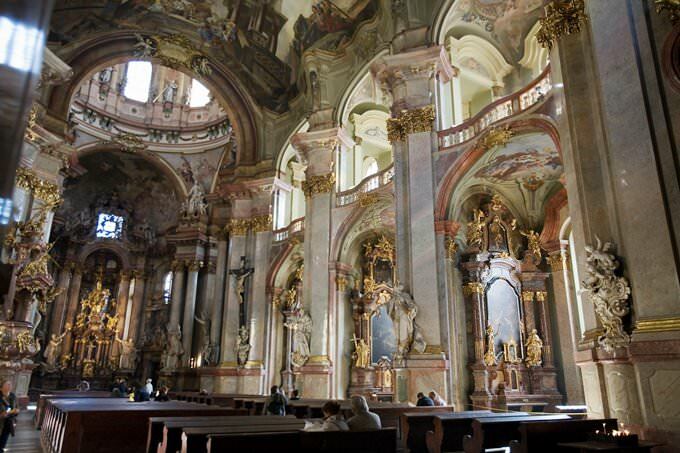 Excursions to Cathedral of St. Vitus are very popular among travellers. The construction of the cathedral started in the middle of the 14th century. The relics of St. Vitus, which were brought to the church in 1355, are considered the main symbol of the church. The sanctuary is also a popular place of pilgrimage. According to a legend, St. Vith was a great healer and he could heal even epilepsy. Basilica of St. Jiri, which was built in the beginning of the 10th century, is another attraction that is worth your closest attention. The church houses numerous sarcophagi of the ancient patrons of the city, as well as holy martyrs. Wenceslas Square is also an important historical object. A hundred years ago all most important meetings and celebrations were conducted here. Nowadays there are many trendy shops and boutiques near the square, as well as several nightclubs and bars. Staroměstské náměstí is, without a doubt, a no less remarkable place of attraction. During medieval times the square was the location of either brutal executions or magnificent coronations. Schwarzenberg Palace is a prominent architectural landmark of the city. The palace, which was built in the 16th century, amazes travelers not only by its exceptionally beautiful appearance, but also by rich decoration of halls. Many furniture items and elements of decoration are truly valuable museum pieces. One of the symbols of the city is Karlův Most, so you would not find an excursion program that does not include at least taking a quick glance at it. The place is mostly chosen by creative personalities such as artists and musicians. It connects Mala Strana with the Old Town and was built in the middle of the 14th century. Several episodes of the movie “Mission Impossible” were filmed here, while some episodes were shot in other tourist attractions of the Czech capital. It is definitely worth visiting Petřínská rozhledna – an interesting structure hidden in Petřínské skalky, which in turn, is a perfect spot for a leisurely walk. Surely the towers offer wonderful views which will amaze any tourist, and the view of the hometown of Franz Kafka provokes even more mysterious feelings (although this is difficult to imagine). An unusual attraction can be found behind the cemetery Starý židovský hřbitov na Žižkově. We are here referring to the Žižkovská televizní věž. The fact is that the tower is decorated with an unusual sculptural composition – crawling Miminika (and each such “baby” weighs 700 kg). The sculpture was created by David Cerny. Inside the tower, there is a bar and a restaurant, and observation platforms from which you can view the cemetery flooded with vegetation, which inspires some peace in the soul. Another unusual structure is Tančící dům, built by the famous architect Frank Gehry along with Vlado Milunic. Family holidays with kids in Prague. How to entertain your child, things to show to children. In the section below, you can get one of our excursion, activities or city discovery tours over Prague and surroundings. Our website offers 10-30% lower ticket prices, when compared to the offline purchase on the spot. 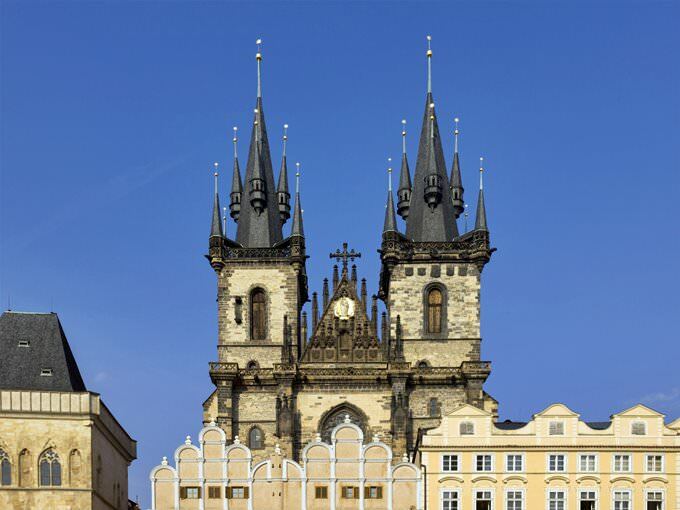 » Tyn Church is one of the most famous symbols of the Czech capital. It’s called the Church of Our Lady of Tyn. 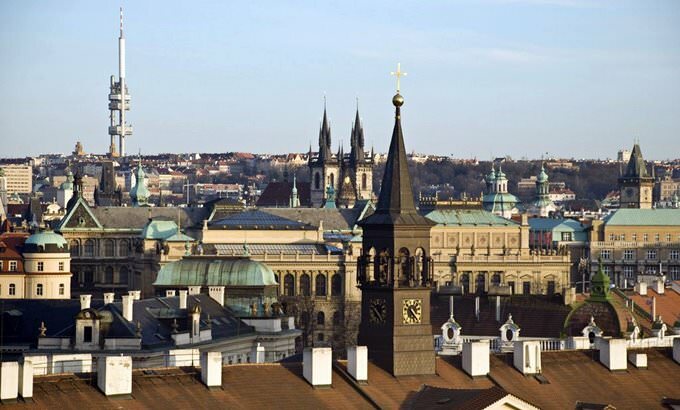 » Tyn Church can boast the oldest organ in Prague made by master Mundt in 1673. » The temple is notable, as about 60 remains of great and unknown people lie there. » Some gravestones in the church are damaged because many residents believe that they can get rid of toothache by stepping on the gravestone. » At the beginning of the 15th century the main statue Tyn Cathedral lose its golden cup; one legend is associated with that. They say that once storks made a nest in this bowl. Birds need to be fed, so the storks took frogs into the nest; and sometimes amphibias fell out of the beak. Once a frog fell on some important person, and the latter was ridiculed by people. After this incident, the storks were evicted, and the cup was removed. » St. Vitus Cathedral was the burial place for Czech kings and archbishops of Prague. The cathedral also houses medieval Czech Crown Jewels. » The main tower of St. Vitus Cathedral is 96.5 meters high, so it can be seen from anywhere in Prague. » That’s the largest church in Prague. It is so large that it can accommodate thousands of visitors. » The largest in the Czech Republic Sigismund bell is kept in the tower of the cathedral. 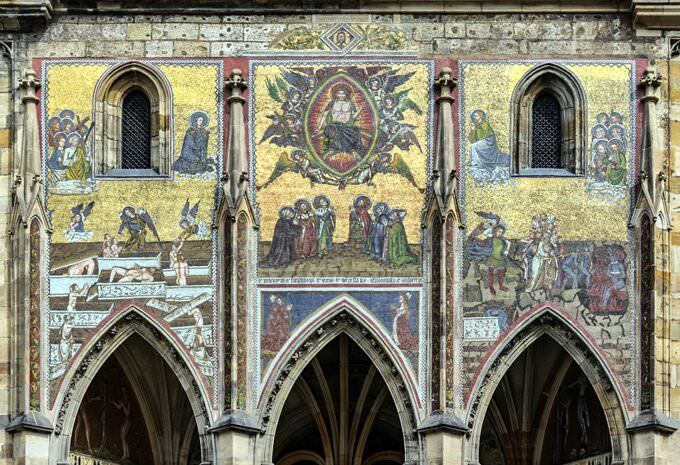 » The most valuable among chapels of the temple is Vitus Chapel. It was erected on the site, where once stood the rotunda with the relics of St. Vitus, after whom the temple was named. 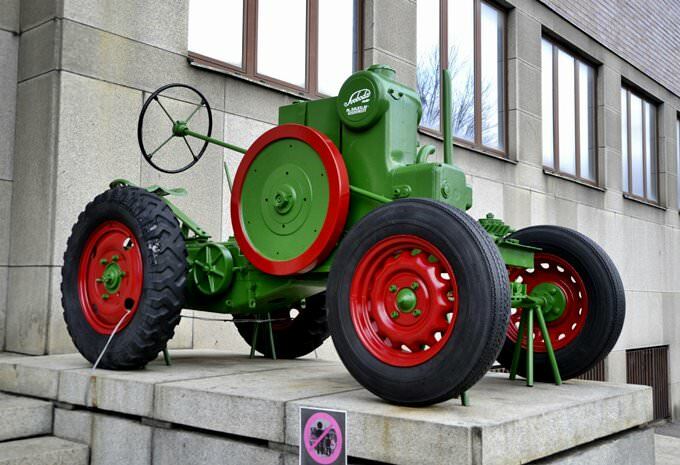 » The National Museum was built in the early 19th century. To the date, the museum is the largest in Prague. » National Museum is divided into several sections. The building on Wenceslas Square houses only the Museum of Natural Science and History and the Library. » The historic room is located on the second floor of the building. It exhibits particularly valuable materials from archaeological sites, as well as coins and medals. The science department is situated on the third floor of the building. » Collections of the Ethnographic Museum, the Museum of Musical Instruments, the Naprstek Museum and the Museum of Physical Culture and Sports are placed in other showrooms. » Vaclav Hanka, who served as the first librarian of the National Museum of Prague, is famous for faking historical texts, passing them off as originals, thereby distorting Czech history. However, even after disclosure of Hanka’s crimes his works were placed in the museum, though not as historical documents, but as examples of romantic literature emphasizing the increase in consciousness of the Czechs. » St. Nicholas Church is the temple on Old Town Square built in the first half of the 18th century by architect Dientzenhofer. » It’s known that the building was reconstructed for several times; it stands on the site of the oldest religious building in Prague. » St. Nicholas Church is famous for its large crystal crown-shaped chandelier given by Russian Tsar Nicholas II. » On Orthodox Christmas and Easter a procession around the temple is held in Prague. » The building is reasonably considered one of the most beautiful places in Prague because of its facade decorated with statues and stucco. » The Basilica of Santa Croce is located in the center of Florence and is one of the most popular monument of the city. » About 300 famous objects of culture, science and politicians are buried in the church. Among them are Galileo, Dante, Machiavelli, Michelangelo and many others. The construction of the tombs in the church is a marble bed with the figure of the deceased over the sarcophagus. » The basilica is famous for its frescoes made by Giotto. Initially, all the walls of the church were decorated with frescoes, but during the plague in the 16th century, when the church was used as a hospital, the walls were whitewashed. During the restoration, frescoes were re-discovered, including the works of Giotto. » The basilica is famous for its 16 chapels. » In this temple Leonardo da Vinci was baptized in 1452. 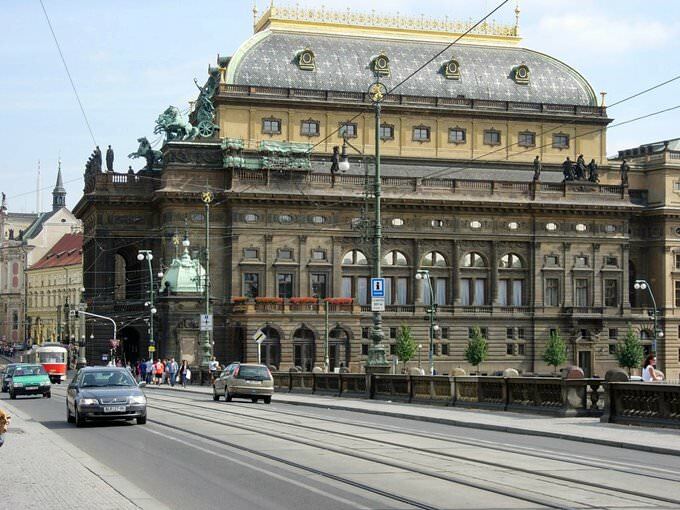 This guide to cultural sights Prague is protected by the copyright law. You can re-publish this content with mandatory attribution: direct and active hyperlink to www.orangesmile.com. Culture guide to Prague. Which fascinating sights to visit once you are in Prague: temples, churches, museums, theaters and castles. Recommendations (with addresses, phone numbers and links) on the places 'must visit' in Prague. 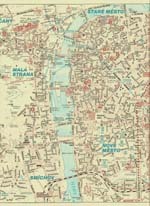 Plan your own city excursion by using this page info!